Ships from and sold by ✅*We Ship Daily!*. Comment: There are underlined, highlighted sentences. Could be an ex-library copy that will have the stickers and or marking of the library. .Spine may show signs of wear. Dust jacket may be missing. Access codes, CD's, and other accessories may not be included.Fast shipping. This book is amazing! 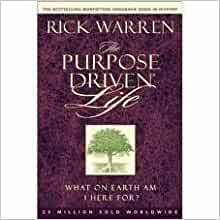 It is broken up into sections to read that will help you find God's purpose for your life. It is simple to read and follow. It is a book that can be read over and over and you will continue to get new meaning out of it! What a great gift and a solid reminder! I have it at my desk...I surely am pleased with my purchase and you will be too. I purchased this book for my step son and he loves it!!!! He could not healp but read ahead. I pray this book will get in his spirit and totally change his mind and life. Thank you so much for this wonderful Scripture keeper. It is the answer to a prayer. God bless you all. 4.0 out of 5 starsIf not now, when? When I was a little girl attending Sunday school, my teacher would tuck a small handout in our hands each week as we left the classroom. This little half-sheet was illustrated on one side with a scripture and verse on the other. My mother and father would take turns reading it and talk about what it meant in our daily lives. This little scripture keeper is an adult version of that same spiritual memo. Some people keep candy jars or little toys on their desk for diversion when they get 'stressed out.' These are more humbling, and better for your waistline and teeth! As for any criticism that this is some kind of blasphemic marketing, I would have to offer sadly that at no time have people reached out more desperately for a way to weave their spiritual well-being back into their daily lives within this modern, technology-rich, multi-cultured, politically-correct era. I for one am happy to see tools offered to help accomplish this. 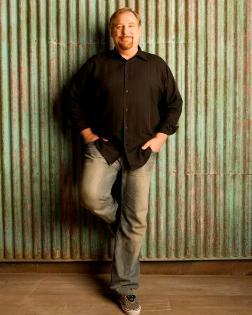 5.0 out of 5 starsWho are we to judge Rick Warren or anyone for that matter? We are called to spread God's word and not to judge how others choose to do so.If Rick Warren saved only one soul with his book, it would be worth it. His book hasn't become a best seller just by chance. Our world is in a sad state and people are grasping for something to hold onto. What better thing to grab ahold of than our faith in the creator. Christians need to stand firm in their beliefs. I can't for the life of me understand why anyone would try to tear apart a person that is trying to reach out and save souls.